Nicholas Castellano, 65, of Hillsborough, NJ passed away on Sunday, March 24, 2019 at his home. He was born on February 5, 1954 in Newark, NJ and grew up in Verona, NJ. He graduated from Verona High School and went on to Seton Hall University, where he graduated with a Bachelors Degree in Business Management. It is during these years at Seton Hall that he met his forever partner, his wife, Patricia. Nick spent most of his life in Branchburg, NJ before moving to Hillsborough 5 years ago. He started his career as a Manager at IBM for 15 years, before him and Pat started their successful interior design business. Before retiring he was the owner and operator of Nick Castle Builders located in Central New Jersey. In his earlier years, Nick loved to sing, play the saxophone, even impersonating Johnny Cash at Carnevale in Newark. He enjoyed fishing, hunting, body building, exercising, tending to his vegetable garden, visiting Atlantic City, yearly summer rentals in LBI, and spending summers at his second home in Toms River with family and friends. The most important thing in his life was quality time spent with his family, especially his grandchildren. He will be missed tremendously by all who knew and loved him. He is preceded in death by his beloved father, Peter M. Castellano. Surviving are his mother, Esther Prosperi Castellano of Caldwell, NJ; his loving wife of 42 years, Patricia DeNicolo Castellano; two wonderful daughters, Nicole and husband Jeremy Gaeta of Hillsborough, NJ and Danielle Castellano of Hillsborough, NJ; two sisters, Rachelle and husband Kim Hadden of Bloomfield, NJ and Donna and husband John Nufrio of Caldwell, NJ; many nieces and nephews and his three cherished grandchildren, Gianna Leigh, Nikolas, and Rocco. Viewing will be held Thursday, March 28, 2019 from 4-8pm at the Branchburg Funeral Home located at 910 US Highway 202 South, Branchburg, NJ 08876. Funeral services will start with a prayer at the funeral home at 9am on Friday, March 29, 2019 followed by a 10:30am funeral liturgy at Mary Mother of God Church located at 157 S Triangle Rd in Hillsborough, NJ. 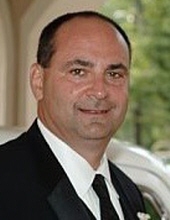 Pat, her daughters, and son in law invite close family and friends to Raritan Valley Country Club located at 747 State Route 28 in Bridgewater, NJ for a lunch to honor and celebrate Nick's life. To send flowers or a remembrance gift to the family of Nicholas P. Castellano, please visit our Tribute Store. "Email Address" would like to share the life celebration of Nicholas P. Castellano. Click on the "link" to go to share a favorite memory or leave a condolence message for the family.